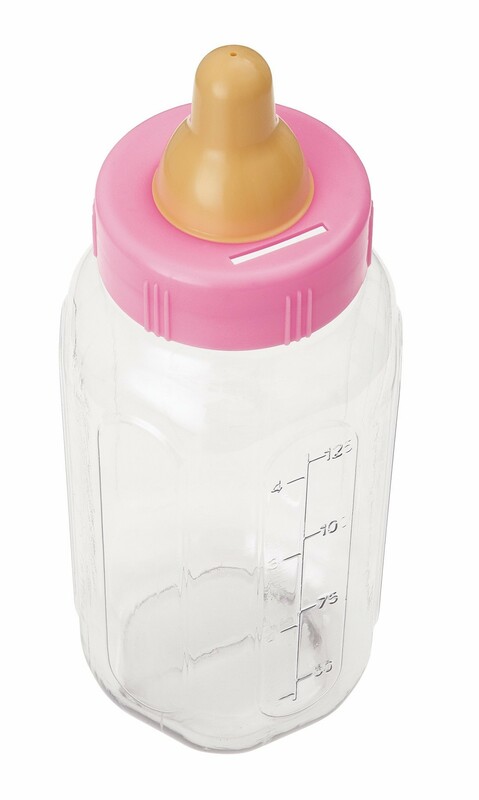 11'' Giant Baby Bottle for baby shower games or as a decoration for your party. The cap is pink in colour. Why not use this giant bottle to store advice notes or as a money bank as the cap contains a suitable slit for dropping money or notes into the bottle.